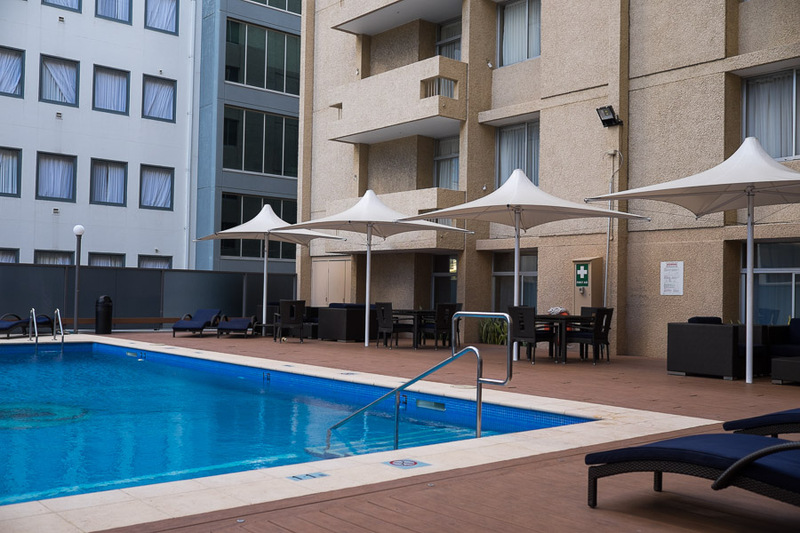 We’ve stayed the Parmelia Hilton in the Perth CBD a couple of times over the years; for a Valentine’s getaway back in 2008 and for Jac’s birthday weekend last year. When I received an invitation for an overnight stay at the Hilton with dinner and a behind-the-scenes tour at the hotel’s restaurant Adelphi Grill I was happy to accept the opportunity to gain an insight into one of my favourite Perth hotels. I finished work around 4pm on the Friday night and headed across town, wheeling my small suitcase up St Georges Terrace towards Mill Street. I checked into my King Deluxe guestroom on the second floor – a spacious (46 square metres/495 square feet) cool haven from the hot and sticky afternoon, with king size bed, 37-inch flat-screen TV, complimentary wifi and bottled water. 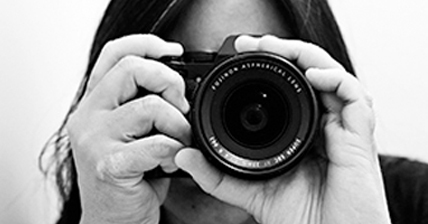 Wifi is complimentary if you join the Hilton loyalty program HHonors and book direct. 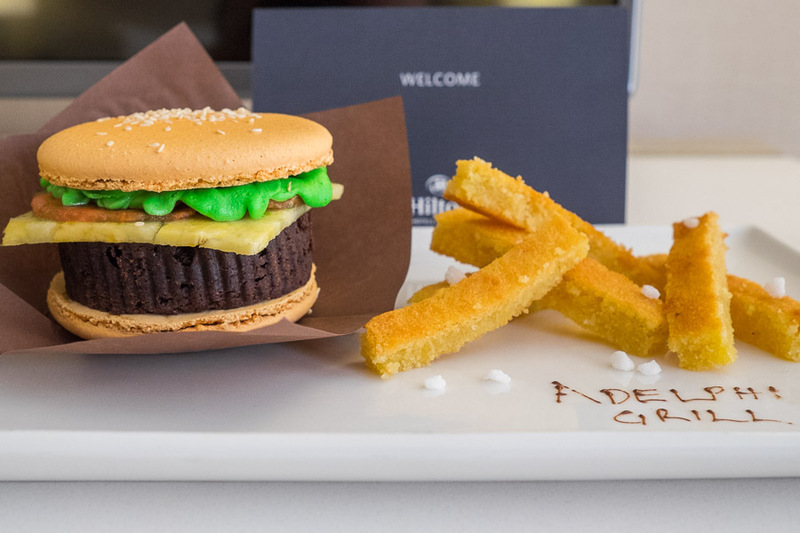 Waiting for me in my room was a welcome gift: a macaron burger (burgeron?) – with macaron shell ‘bun’, chocolate cake ‘burger pattie’, pineapple ‘cheese’, watermelon ‘tomato’ and green icing ‘lettuce’, with a side of cake fries. I picked it up with both hands and bit right into it like a burger to get a taste of all the elements at once. The chocolate cake was incredibly moist, and the pineapple and watermelon added a fresh fruity burst. They should totally put this on the menu. I had a dinner date to get ready for and knew I must resist the urge to take a snooze on the soft comfy bed. I’ve always found the beds at Parmelia Hilton to be extremely comfortable. The pool and fitness room are on the second floor. When Jac and I stayed at the Parmelia Hilton in 2008, the Adelphi Grill was known as the Adelphi Steak House and Bar, located downstairs deep within the Parmelia Arcade, somewhat hidden from the street. Back then, there were two restaurants at the Hotel, the steakhouse in the arcade and The Globe Wine Bar, in a more ‘visible’ location near the Mill street front entrance of the hotel. A couple of years ago, the Adelphi restaurant and bar were renovated and relocated to take the Globe’s place, becoming the hotel’s only restaurant and bar. 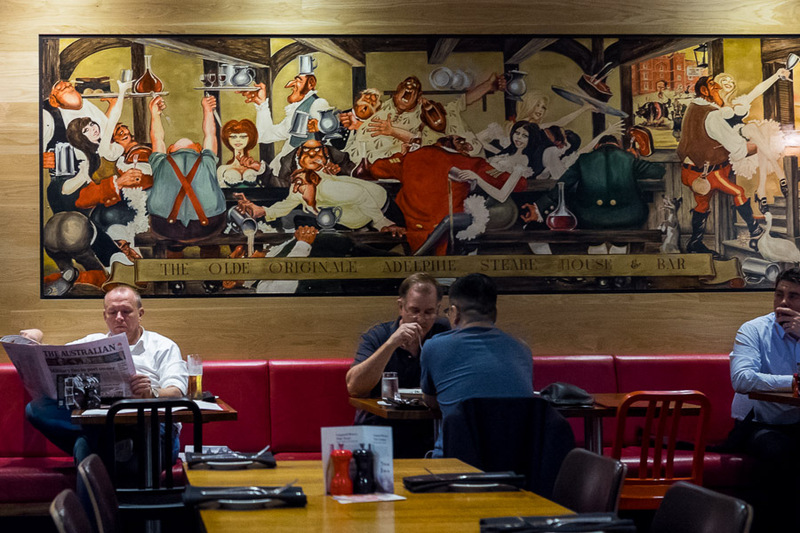 A mural painted by Paul Rigby for the Adelphi back in the 1970s is a striking feature in the restaurant. 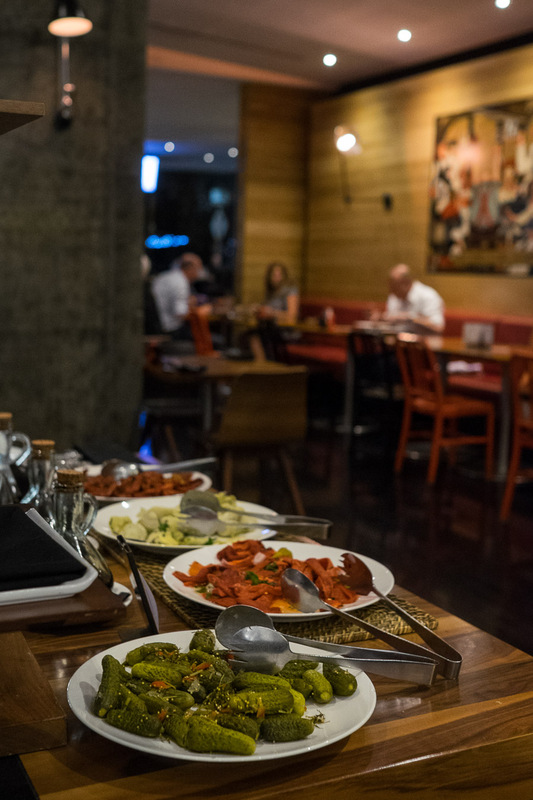 After drinks in the bar, we began our dinner at Adelphi Grill with several shared dishes, then chose our main courses and shared a selection of side dishes. It was quite a feast between the five of us (three people representing blogs, two our hosts, representing the hotel). 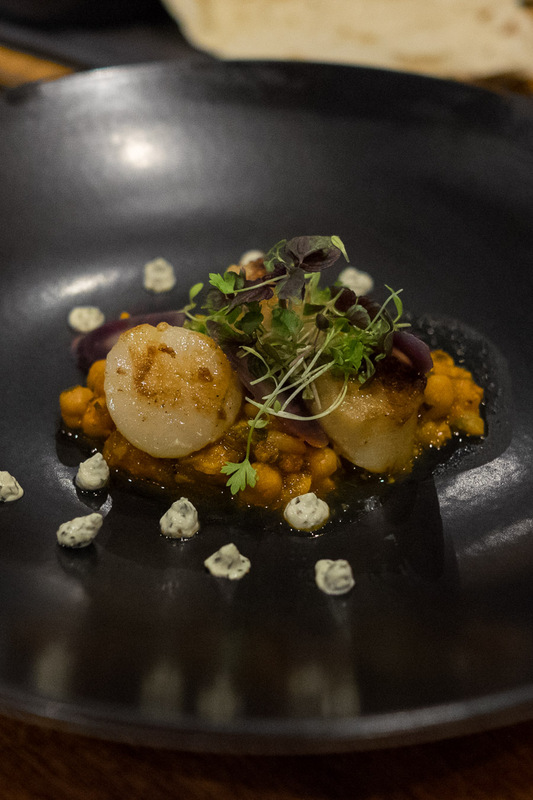 Seared scallops (AU$19) – with spiced chickpea & tomato, carrots and mint labneh. 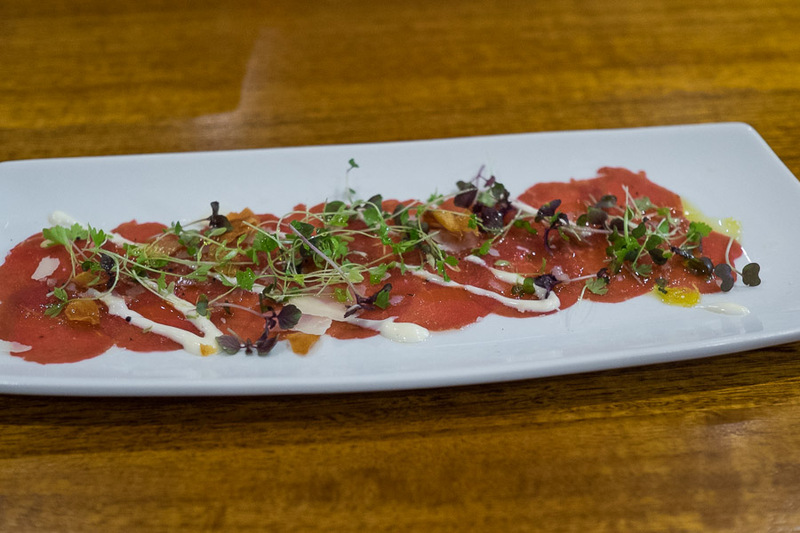 Beef carpaccio (AU$19)- with parmesan, garlic chips and truffle mayo. We also shared (not pictured) the make-your-own duck tacos (minced duck with black beans, chargrilled corn and avocado salsa, sour cream, lettuce and grilled tortillas, AU$19) and roasted spiced cauliflower (AU$19) with crumbed bocconcini, cauliflower and truffle puree and toasted almonds. 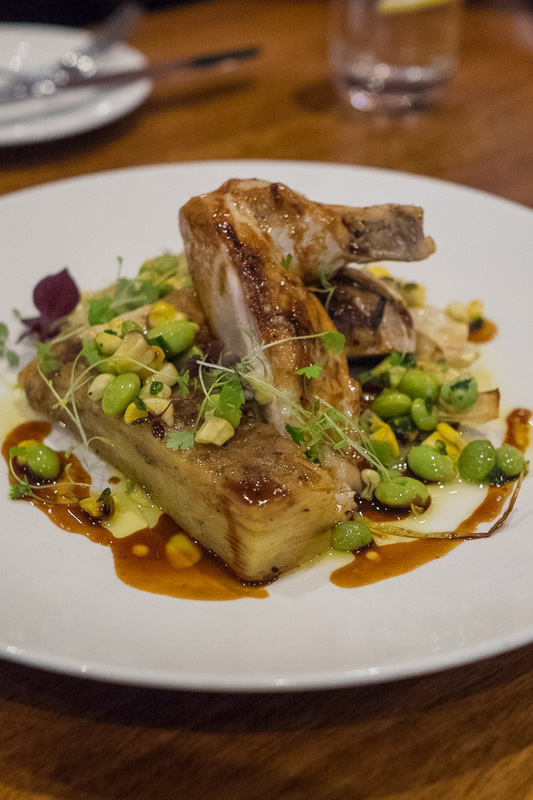 Tania’s grilled chicken breast (AU$38) with potato dauphinoise, soy beans & charred corn, roasted leek and red wine jus. I think most of us had dish envy from the moment we laid eyes on this. 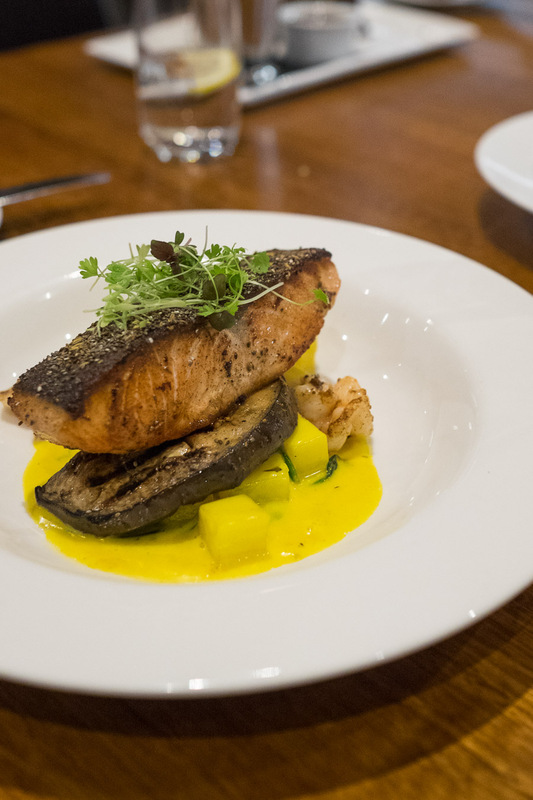 Hilton Marketing & Communications Manager Julia’s salmon (AU$42) dusted with chai and fennel seed, served with seared scallops, potatoes in saffron and coconut sauce, eggplant and spinach. 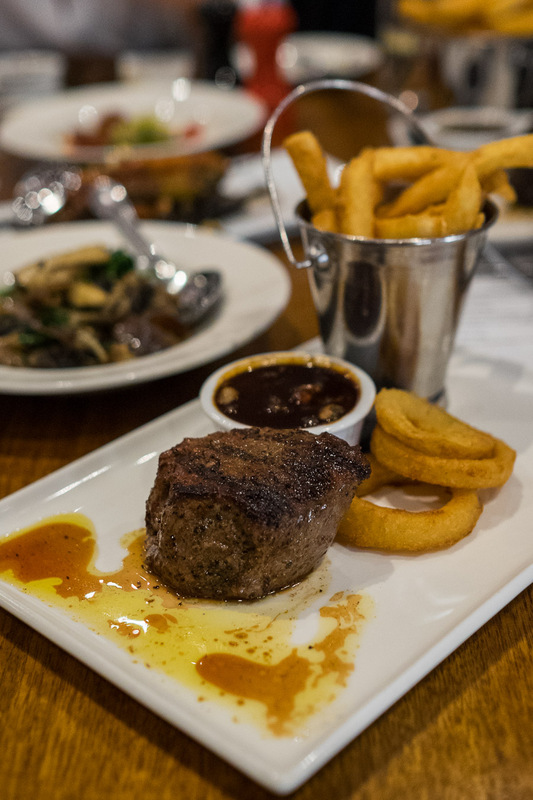 Martin’s South West fiery fillet (220g, AU$45) – steak rubbed with a secret blend of fiery spices, served with chips. 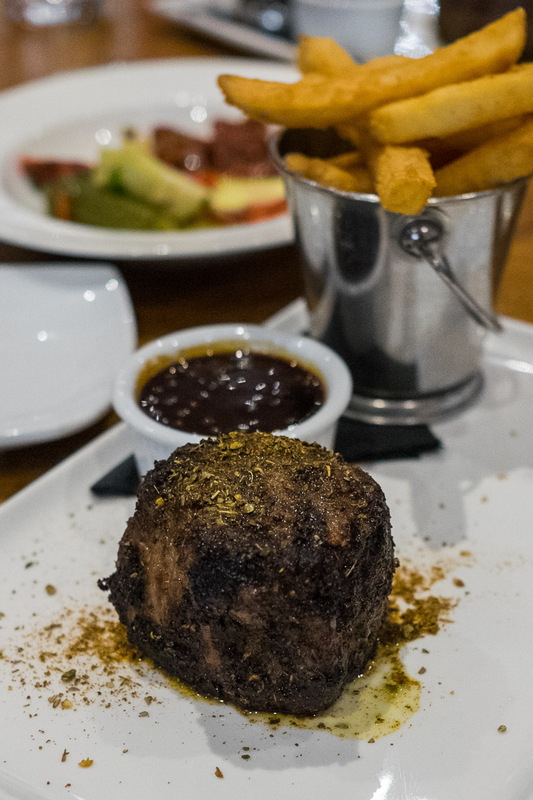 All steaks come with your choice of sauce (mushroom, bearnaise, red wine or pepper jus). 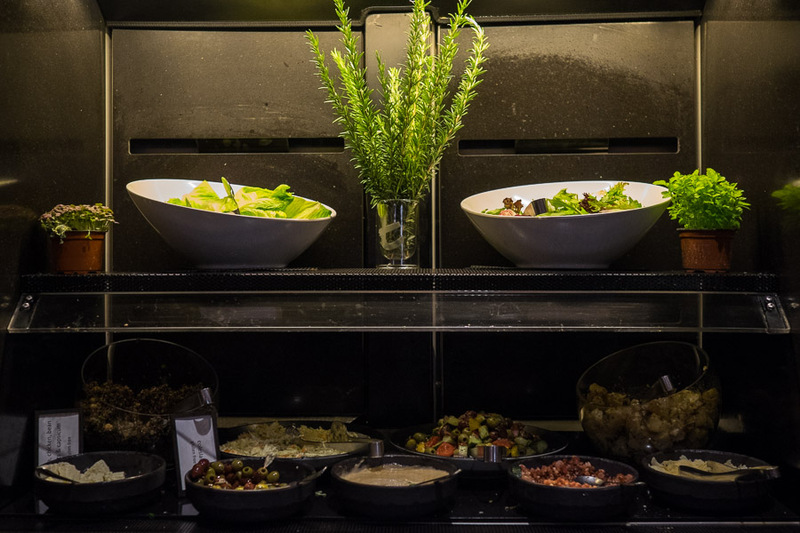 All main meals include the salad bar. 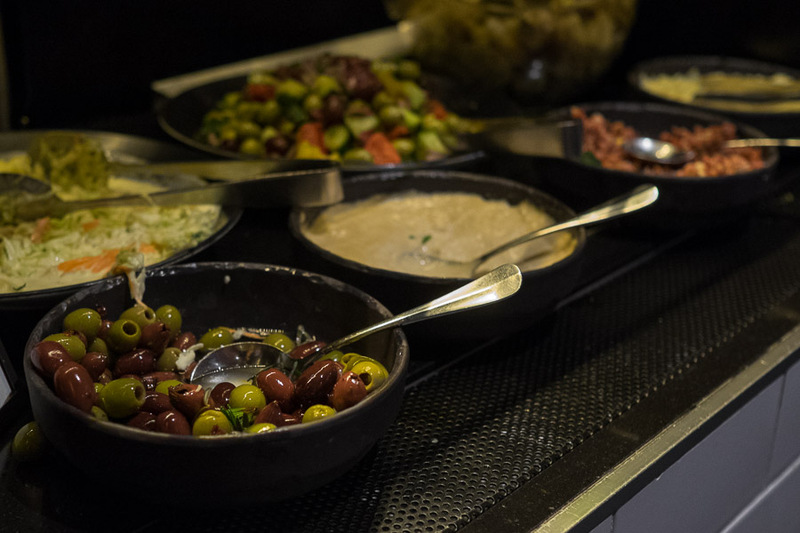 The salad bar also includes antipasto. 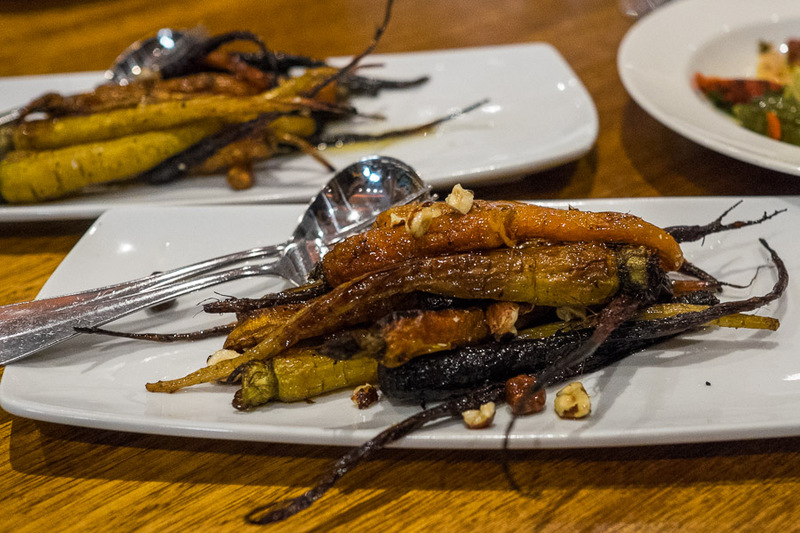 Our shared side dishes included honey roasted baby carrots with hazelnuts (AU$10) – these wizened beauties were very sweet. 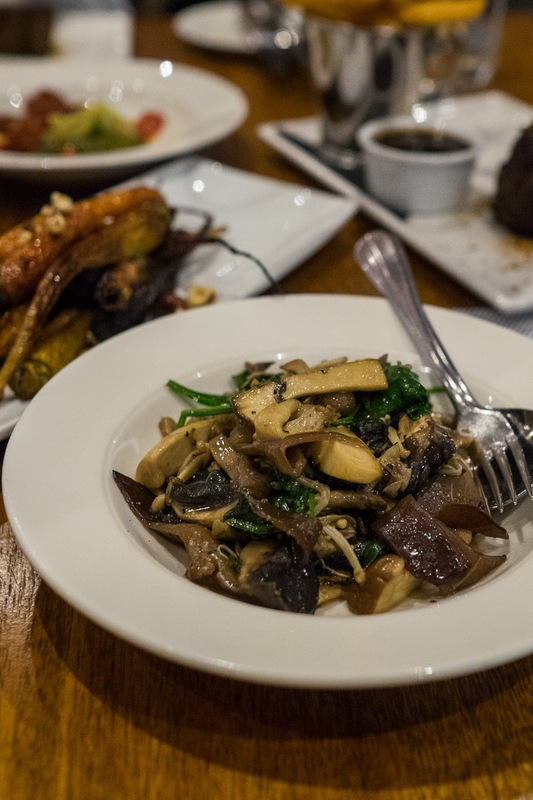 Another side dish – mushroom medley with spinach (AU$10) – the plate was conveniently placed on the table right in front of me and I couldn’t stop eating the buttery mushrooms. My South West beef fillet steak (220g, AU$45), the non-‘fiery’ version, served with chips, onions rings and mushroom sauce. My steak was tender and cooked to medium as ordered, with a wonderfully charry crust. Jac and I have ordered steaks St Adelphi previously – they were just as excellent. 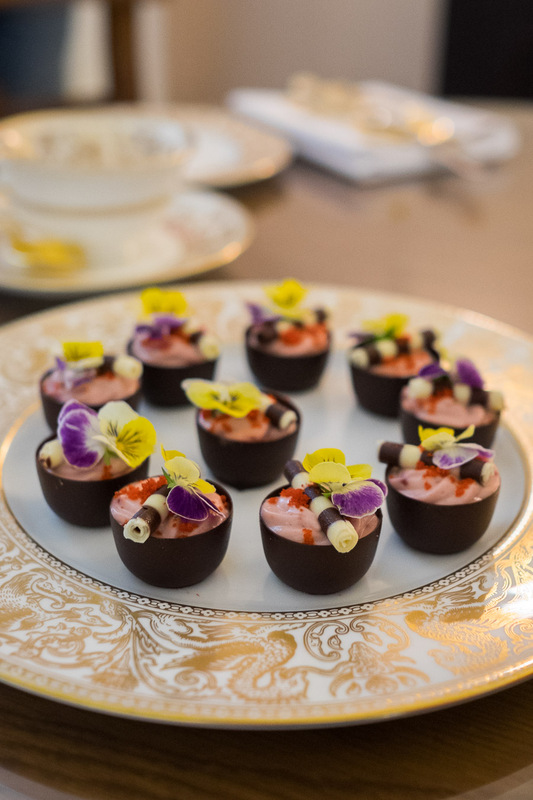 Head Chef Chad Miskiewicz emerged from the kitchen to introduce our desserts – including Adelphi Grill’s signature chocolate & raspberry tart (AU$14) with chocolate fudge sauce and vanilla ice-cream. Crack through the outer chocolate layer to reach the raspberry mousse right in the centre, which is marshmallow-like, fluffy and light. 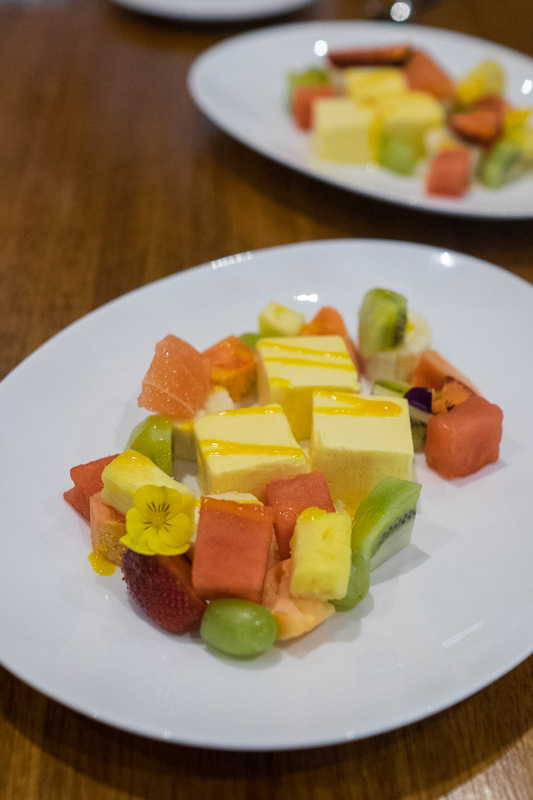 One of our shared desserts – mango semifreddo (AU$14) with fruit salad, drizzled with passionfruit essence. Cool, soft and creamy, a brilliant dish for a warm summer’s day (or night). 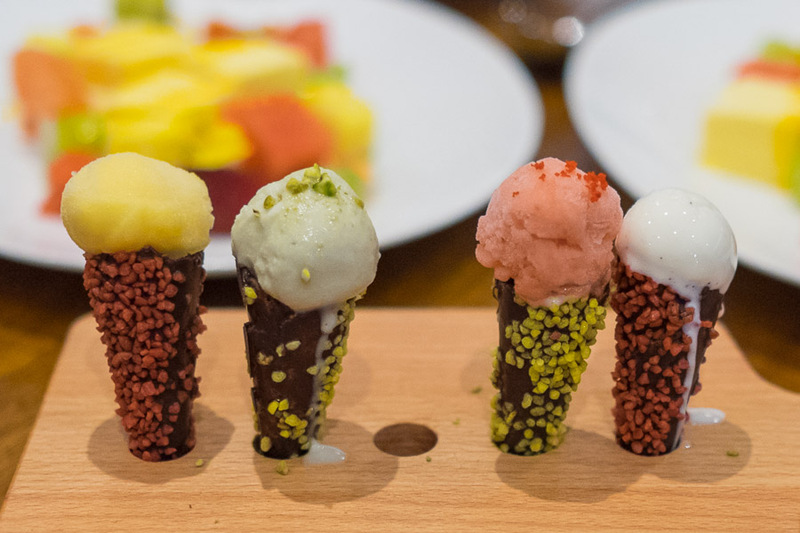 From the ‘Dessert Tapas’ section of the menu, baby ice cream cones (AU$8). Other dessert tapas dishes are mini doughnuts and mini pavlova with strawberry cream and pistachios. We rolled out of the restaurant and retired for the night. 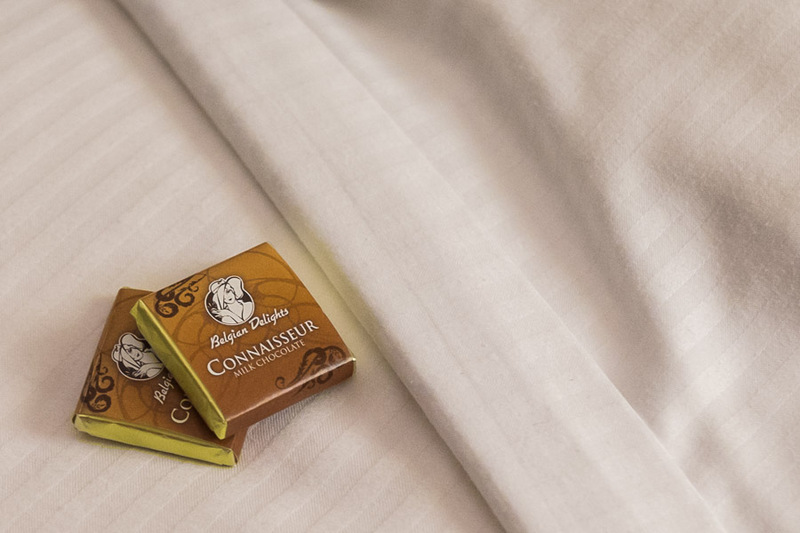 Chocolates on my bed when I returned to my room. Our group met up again for breakfast the next morning. 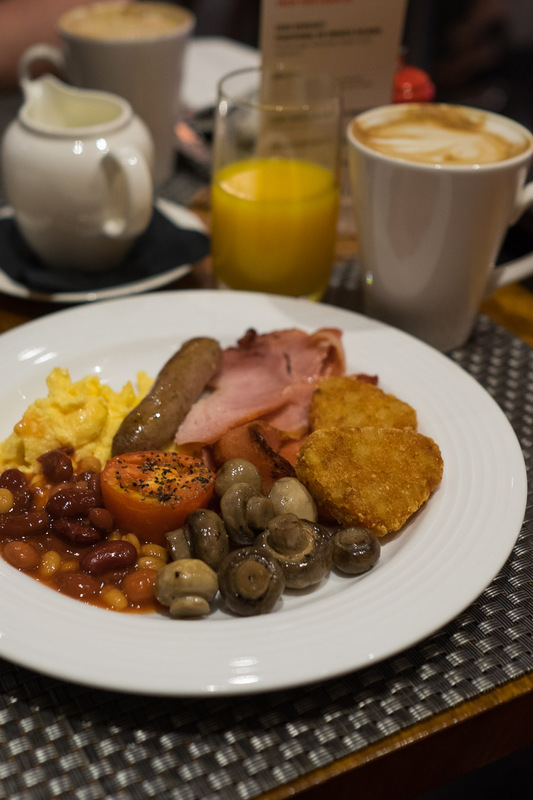 The hotel breakfast buffet is available at the Adelphi Grill from 6.30am to 10am Monday to Friday and from 7am to 10am on weekends. After my initial circle of reconnaissance, I zoomed right back to the congee station, where there was plain and chicken congee available, along with accompaniments (various pickled vegetables, salted duck egg, fried shallots, Chinese cruller (yow char kwai), and one of my favourites, black beans with fried preserved fish. 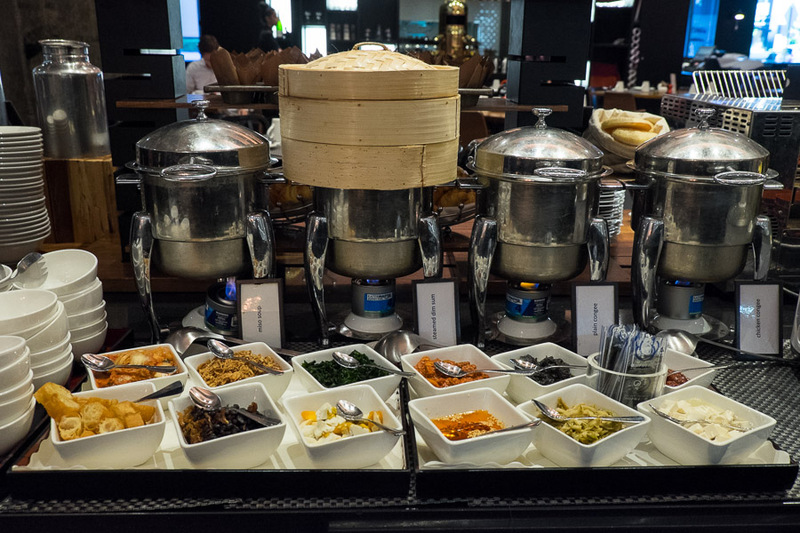 Congee is a common feature of Perth hotel breakfast buffets, and when it has been, it’s been mostly watery, bland and disappointing. But this chicken congee was pretty good, with pieces of shredded chicken and a decent array of trimmings to add – I eagerly went back for a second bowl. 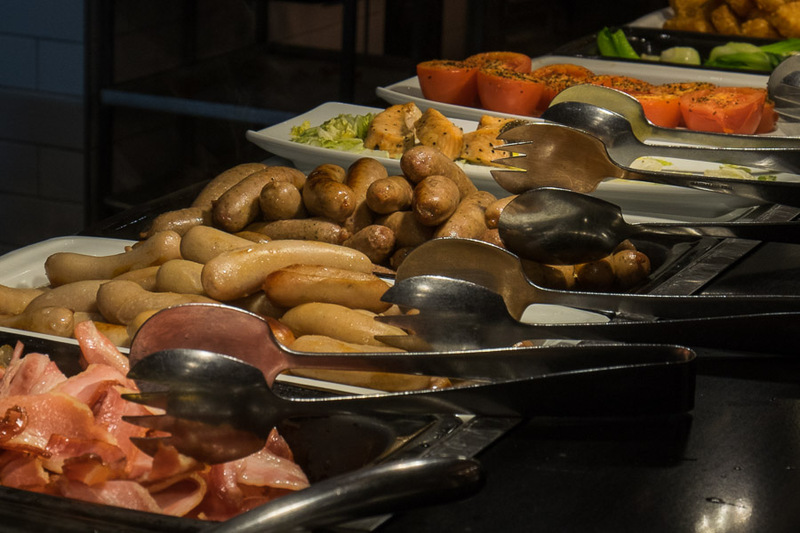 The breakfast buffet is $38 and includes the hot breakfast station (with fried, scrambled and poached eggs, bacon, sausages, salmon, tomato, baked beans, mushrooms and hash browns) and a rather excellent hot baked ham. Besides congee, the Asian station also included steamed dim sum and miso soup. There was cereal; bread and crumpets for toasting; cakes, muffins and pastries; fresh fruit and vegetables for juicing; smoked salmon with capers and lemon; and yoghurt, fresh fruit salad. 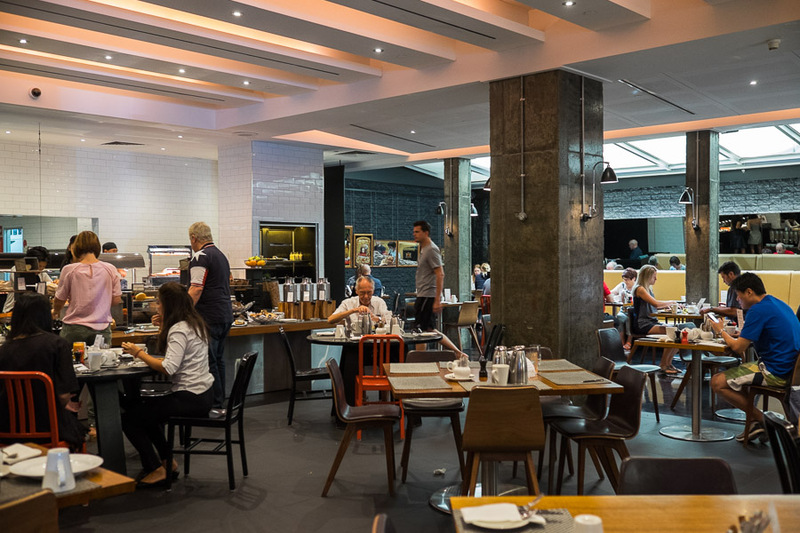 It’s worth noting that the buffet price does not include waffles, pancakes or omelettes – they are available and cooked to order for an extra $7.50. The buffet price includes tea or filter coffee. Vittoria coffees cost an extra $3.80 (if I’m being honest, I didn’t care for my Vittoria soy flat white and would skip it next time). In the interests of ‘research’, I assembled a fry-up, with bacon, sausage, ham, mushrooms, scrambled eggs, tomato, beans and hash browns. To finish, fruit salad. After breakfast, we went for a behind-the-scenes tour of the hotel kitchens with Executive Chef Michael Schmidt, who leads food and beverage (including events catering and room service) at the Parmelia Hilton after having worked at Hilton hotels all over the world. 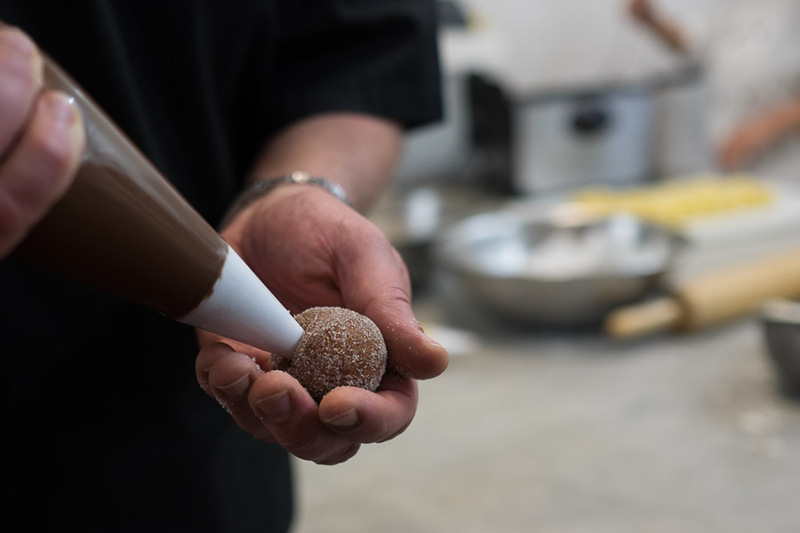 We then joined pastry chef Jo in making mini doughnuts, which, as mentioned earlier, are featured on the Adelphi Grill’s Dessert Tapas menu. 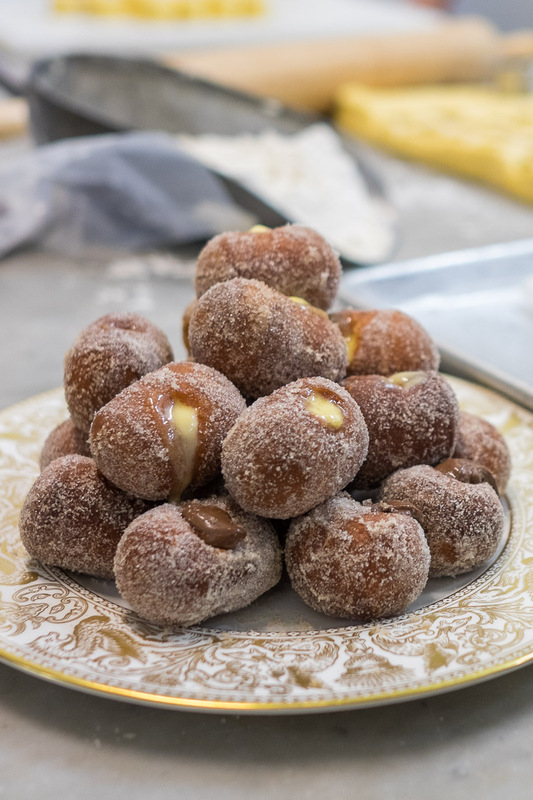 We cut the doughnuts, deep-fried them for a few minutes, rolled them in sugar and filled them with Nutella or lemon curd. They were still warm when we tucked into them. 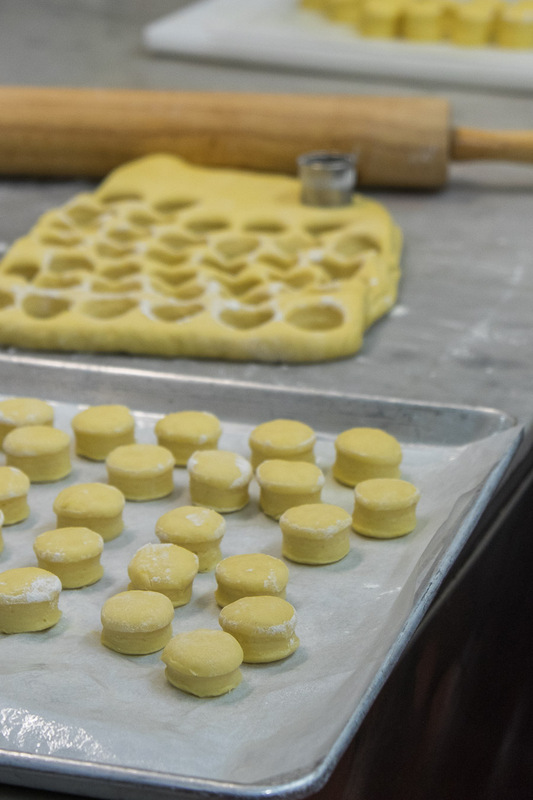 The doughnut rounds are left to rise a little before they are fried. Hot doughnuts filled with lemon curd and Nutella. 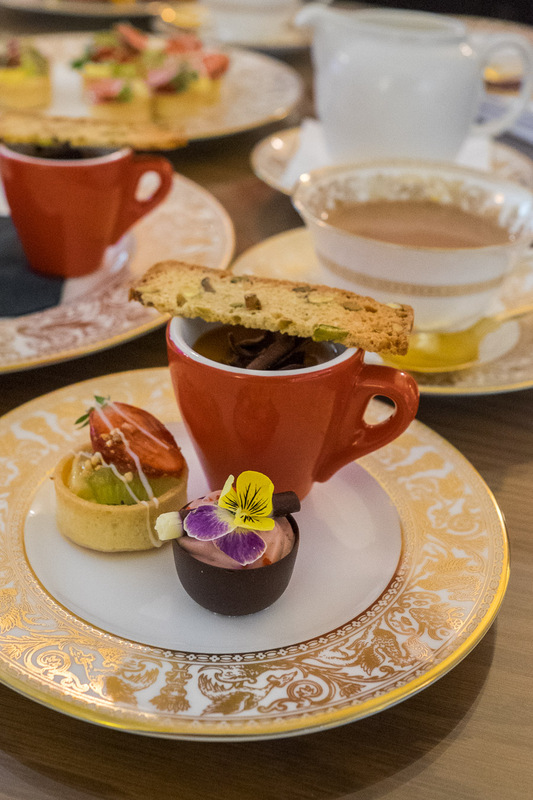 Our final activity was an elegant morning tea in one of the hotel’s King Premier suites on the 10th floor. 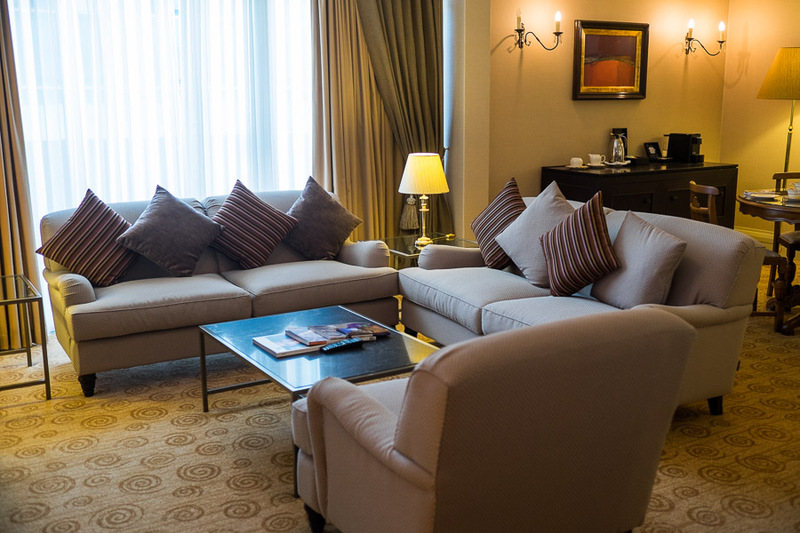 There are three suite categories: King Premier (90 square metres/969 square feet); King (84 square metres/904 square feet) and Queen (50 square metres/538 square feet), each with a separate lounge/dining room. 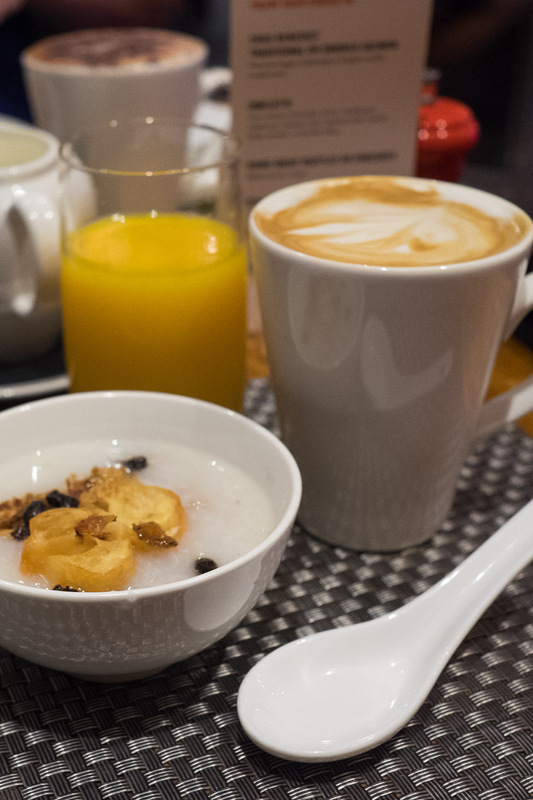 Buffet breakfast at the Adelphi Grill is complimentary for suite guests. In a King Premier suite on the 10th floor. 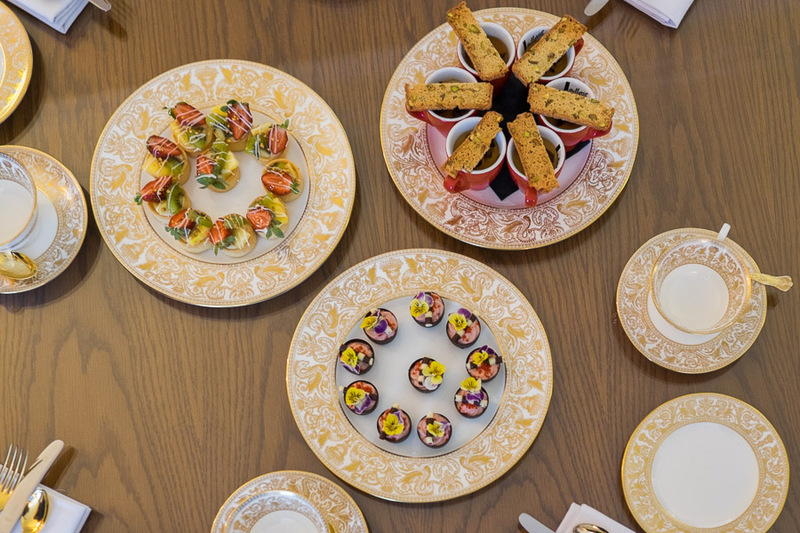 Sweet treats – mini fruit and custard tarts, berry mousse in chocolate cups, and espresso pannacotta cups with coffee syrup and biscotti, served on gold plated Wedgewood crockery bought for the hotel over 40 years ago. Within the next couple of years, there will be four Hilton establishments in Perth, with three DoubleTree by Hilton (4-star) hotels planned to open – in Fremantle (Point Street) and Northbridge (James Street) in 2017, and at Perth Waterfront (between the Lucky Shag and the Bell Tower), in 2016. 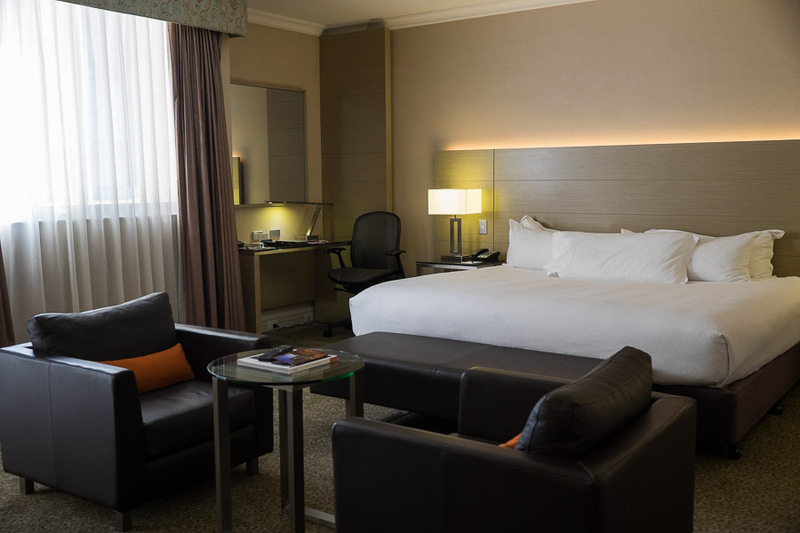 Last year, I stayed at the DoubleTree by Hilton in Los Angeles Downtown and at The Curtis, a Doubletree by Hilton in Denver – and had great experiences at both. I have no doubt I’ll stay at the Parmelia Hilton again – next time, hopefully with Jac. 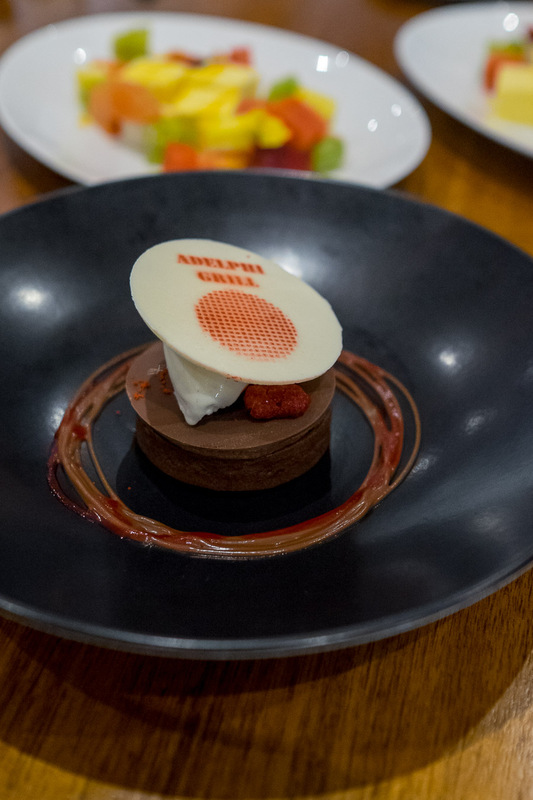 I’d eat at the Adelphi Grill even when not staying at the hotel – and definitely go there for a great steak. 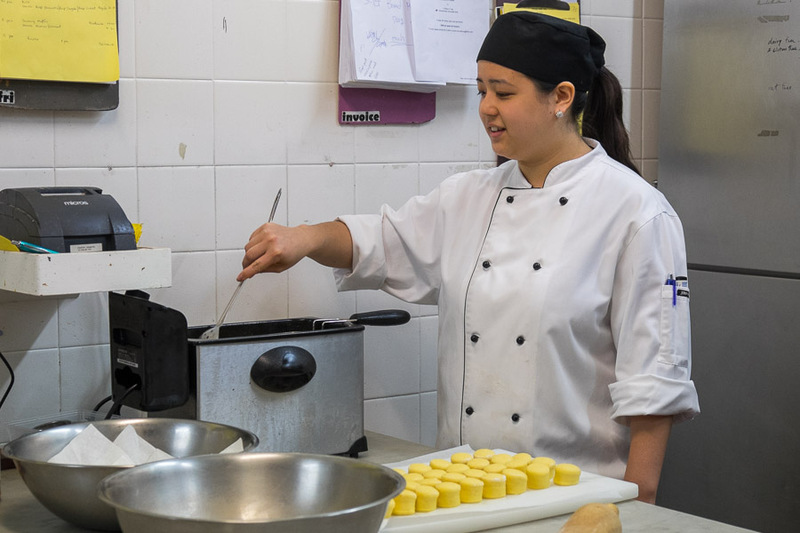 On this weekend, I learned that over 40% of the Parmelia Hilton team have been with the hotel for five years or more, and their years of service total over 1000 years. That’s a pretty impressive statistic for the hospitality industry. The hotel is approximately 25 minutes drive from the Perth International Airport. Adelphi Bar Snack menu available 11am to 11pm. 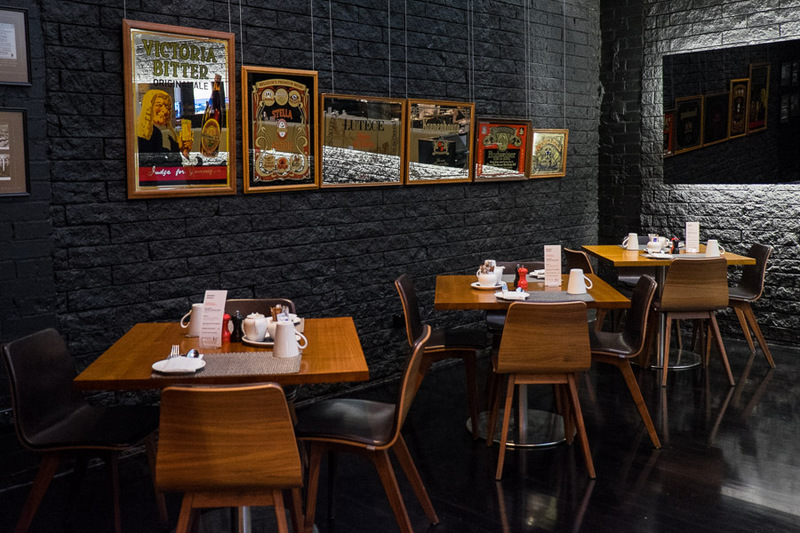 Note: The Adelphi Grill will be closed for a refresh from 2 to 15 January 2016. I attended as an invited guest of Hilton Hotels. Accommodation, activities and food and beverages were all compliments of Hilton Hotels. Prices have been included for your information.